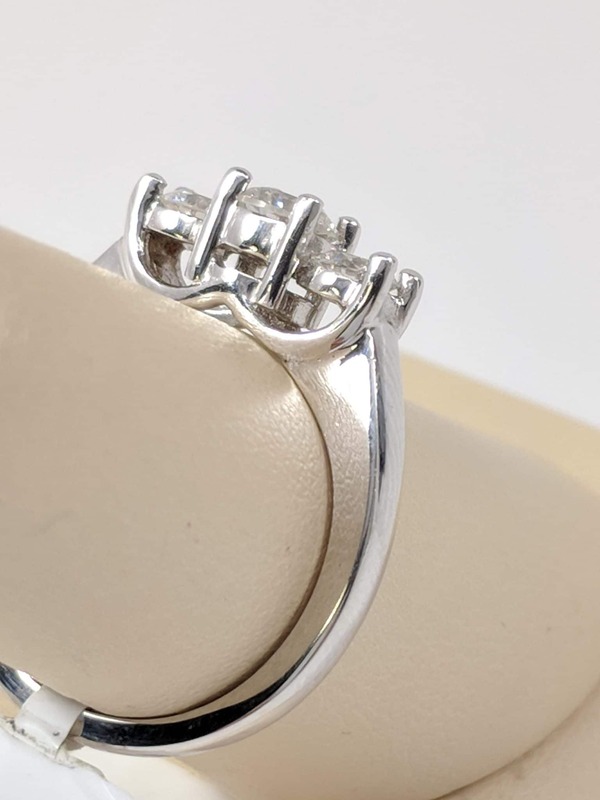 These three stunning round diamonds make up the centerpiece of this elegant engagement ring. 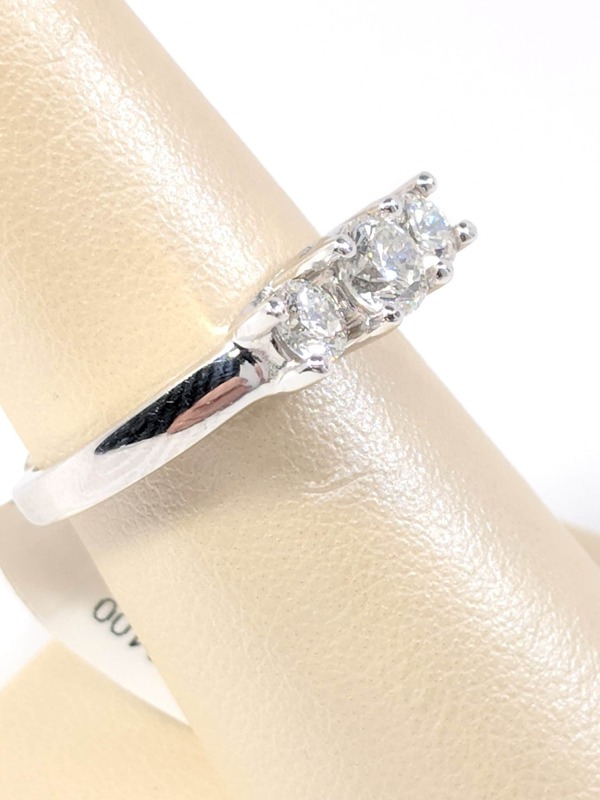 Crafted of 14 karat white gold, the ring has a diamond weight of 1 carat, HSI2. 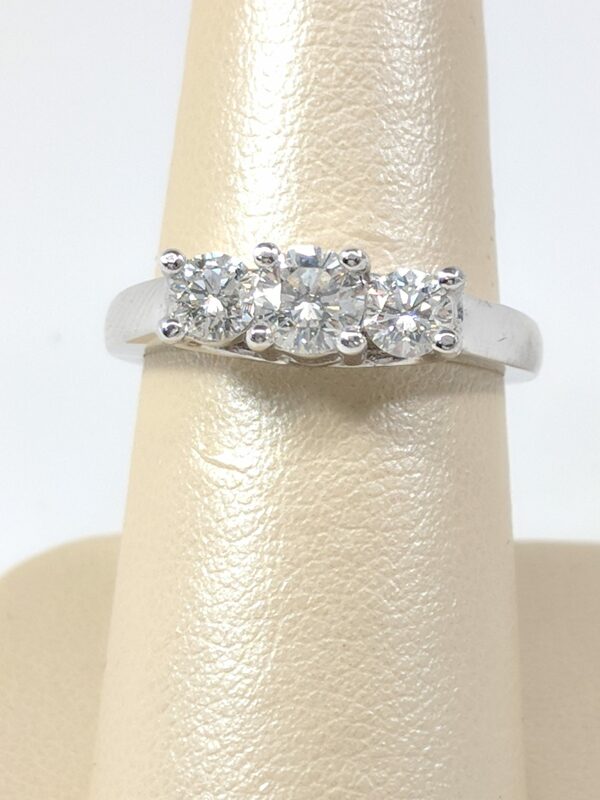 Ring Size: 7 The good news is that this ring can be resized up or down. 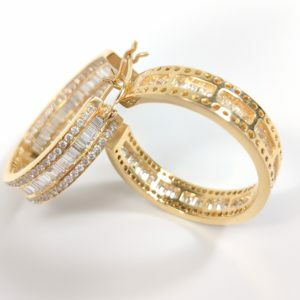 The fire and brilliance of this round center stone holds the best attributes of a GSI1 , center is .33 carat , .75 CTW. 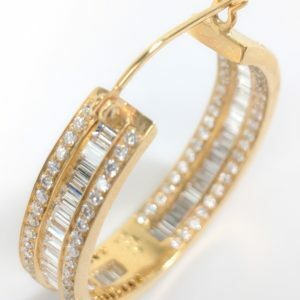 There are diamonds that sparkle down each side of the center diamond for enhanced elegance. 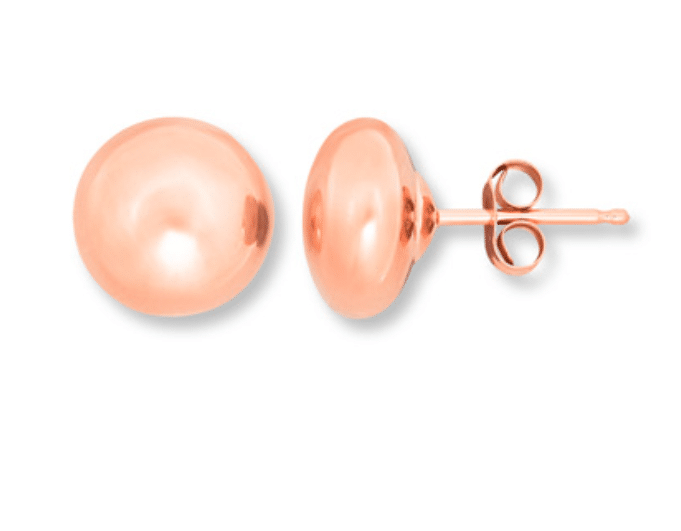 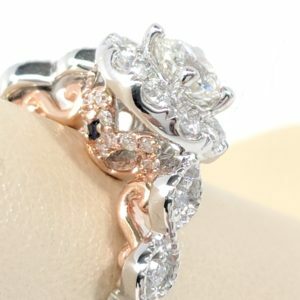 This setting is made of 14 karat white and rose gold for a vintage look. 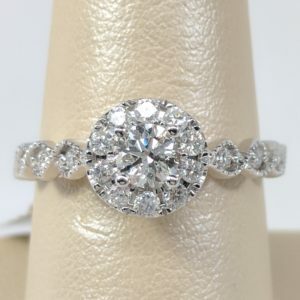 Ring size: 7 The good news is that it’s possible to get the ring resized up or down. 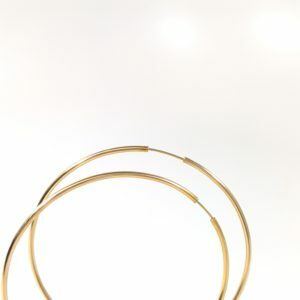 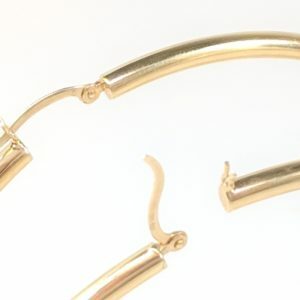 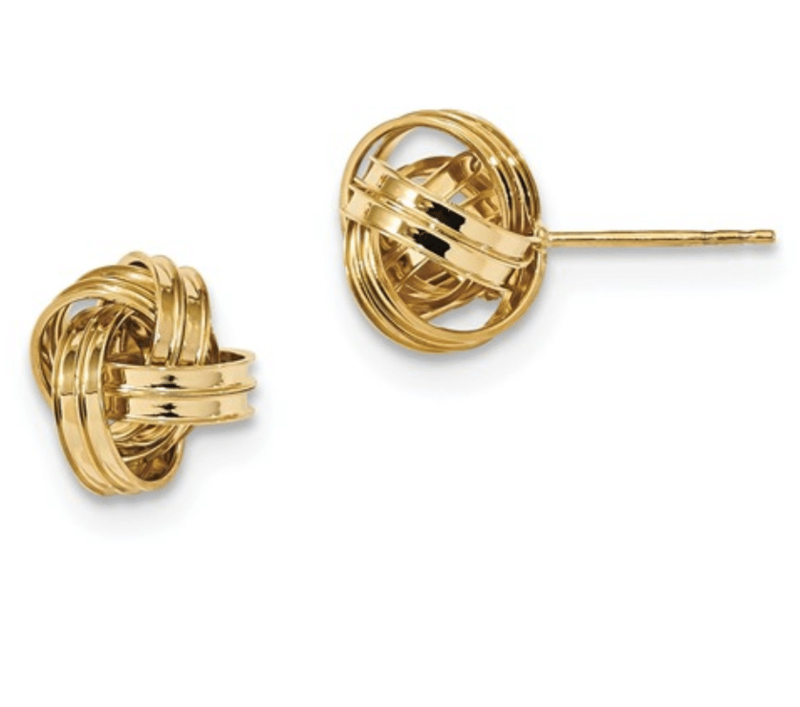 Stylish high polish 14 Karat yellow gold hollow round hoop earrings. 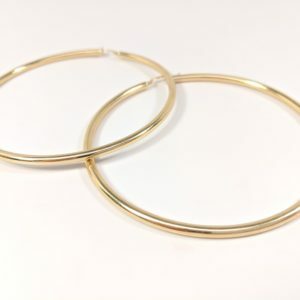 Fashionable 14 karat yellow gold large round hoop earrings with exquisitely crafted saddle back lock. 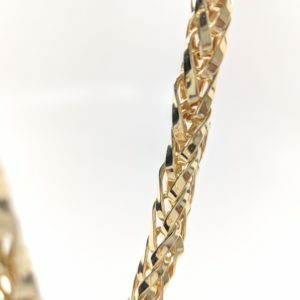 This classic necklace is a great choice for wearing alone or with your favorite pendant. 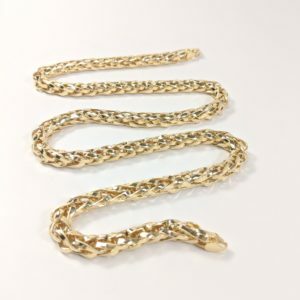 The necklace is 14 karat high polish yellow gold 26″ in length, wheat link design. 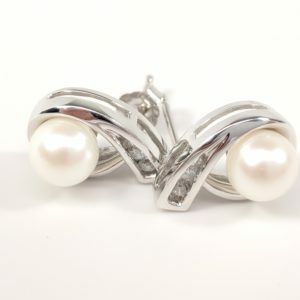 A Bit of Sparkle – These Cultured Pearl stud earrings in 14 karat white gold are accented with .08 carat diamonds. 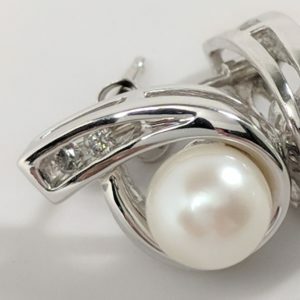 The contrast between the pearl and diamonds is spectacular. 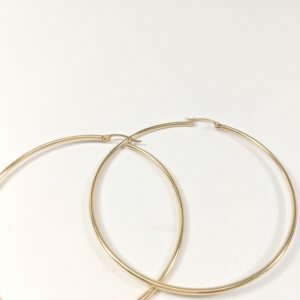 Stunning, 3 carat, Diamond hoop earrings in 14 karat yellow gold; diamond types: Round Channel Set, and Baguette. 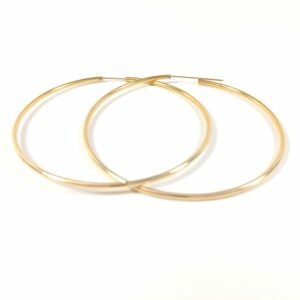 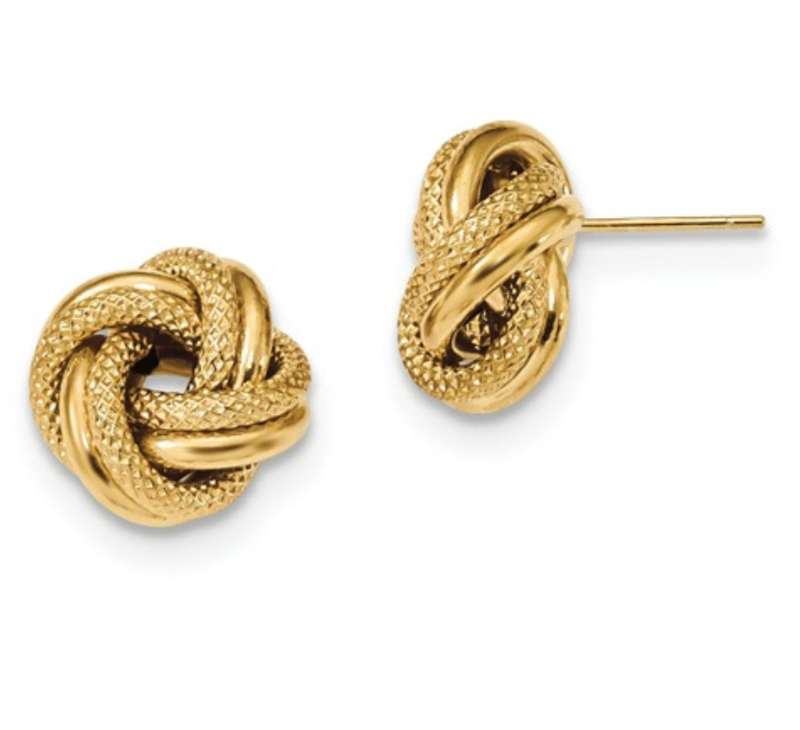 These earrings are a great gift for yourself or a loved one and make the perfect addition to any jewelry collection. 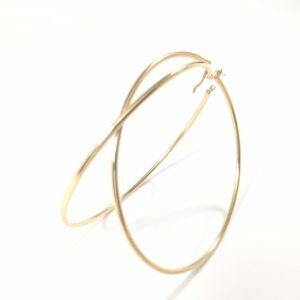 This 14 karat yellow gold thin continuous endless hoop maybe simple, but its possibilities are infinite. 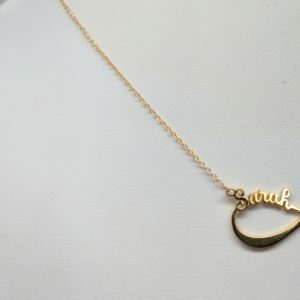 Available is a completely customizable 14KT gold double name infinity pendant set with a 17″ cable chain. 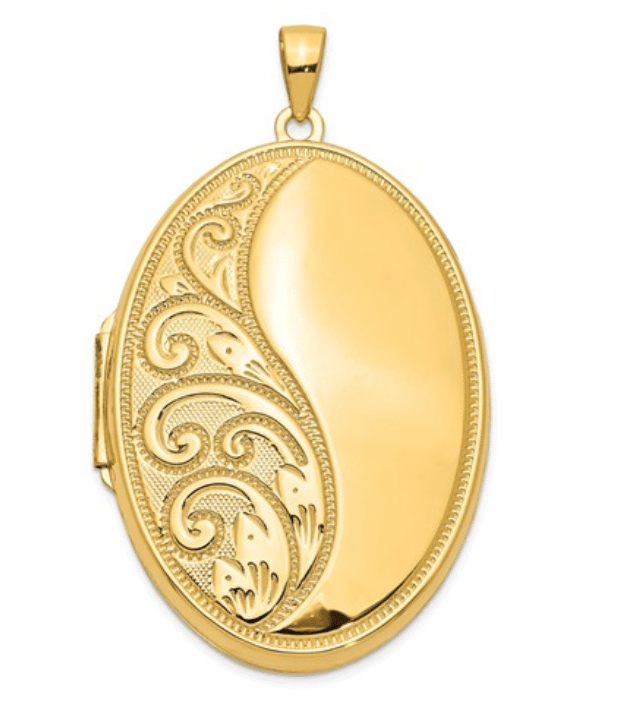 The pendant itself is 1.25″ wide and can also be ordered in 14KT white gold or silver. 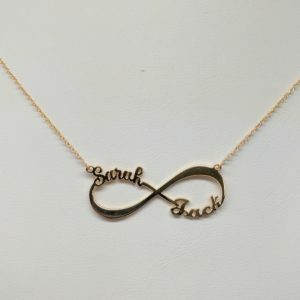 Please allow 2 weeks for us to create your custom item.